Hello everyone! It is dark and gloomy here in Maine. I was chatting with my sister about how the weather just affects my day. When it’s gloomy I seem to be extra tired and not motivated to “get out and do stuff”. Funny how the weather affects us, isn’t it? 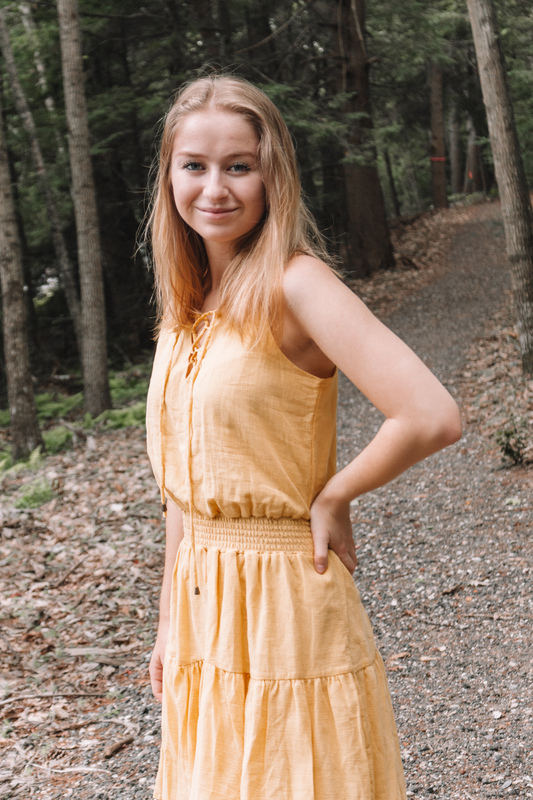 That conversation led to this blog post, where I’m sharing how I stay positive and motivated even when things get me down. Life is not a perfect for anyone. It’s a bit messy and chaotic, which can lead to negativity. For Blogtober Day Twenty-Three, I’m sharing some ways that I create a positive life for myself. It’s not easy to rewire how you think about things and how you react to situations. It takes time and patience to create a more positive life. Regardless of your situation in life, there can be positives in it. Even in the most stressful of days, there are little things that can go unnoticed if we don’t take the time to appreciate them. Perhaps your test didn’t go as well as you planned, but you know how you can better prepare for the next exam. Maybe traffic was really bad, but it let you finish your audio book. Life is messy and crazy most of the time, so next time you are in a difficult spot, try to find the joy in the little things around you. Maybe you don’t love your job. However, it does give you the ability to have a place to live and you’re able to pay your bills. Maybe it also helps you purchase those new shoes you’ve been wanting. Changing how you think and act towards perhaps more negative situations will help you become a more positive person all around. It can be impossible to literally switch jobs or change our route to work, but when you change how you think about things, you’ll find that the stressful times in life may actually not be that difficult. This one is hard. This can apply to a whole array of things. Have you heard of “your vibe attracts your tribe”? While it’s not the most clever saying in the world, it’s certainly true. When you are a negative person, you attract negative people into your life. Maybe you have a coworker friend who just complains how they hate their job so much. Or you have personal friends who just view the world in a negative way. This is the time to sit with another coworker at lunch or limit your time with your negative friends. Another way to look at this is with social media. I did a social media purge recently, I unfollowed/unfriended anyone who didn’t put me in a positive mood. Now, when I do go on social media, it’s filled with a tons of positivity and leaves me feeling good. Life is not perfect. What??? I know, crazy concept right? But it’s the truth. We cannot control every aspect of our lives and there will be times that something doesn’t come out perfect. I tend to have a hard time with this one, but when I do let go, I notice a big increase in my well being. When you are worried about doing something perfectly, you may be stressing out about something over nothing. It’s okay if you aren’t married by a certain time or own your dream house by 30. There is always time in our day that we can give to ourselves. I would much rather get up 5 minutes earlier and do some meditation, than get in some extra sleep. I tend to get very stressed out when I’m running around doing everything on my to do list. Sometimes I need some “me time” to help myself relax from day to day life. Sometimes I’ll do a face mask, like this one, while working on homework. Even though homework isn’t the most fun thing to do, I know I’m taking care of my skincare while I’m doing it. Check out this blog post for more ways to practice self care! 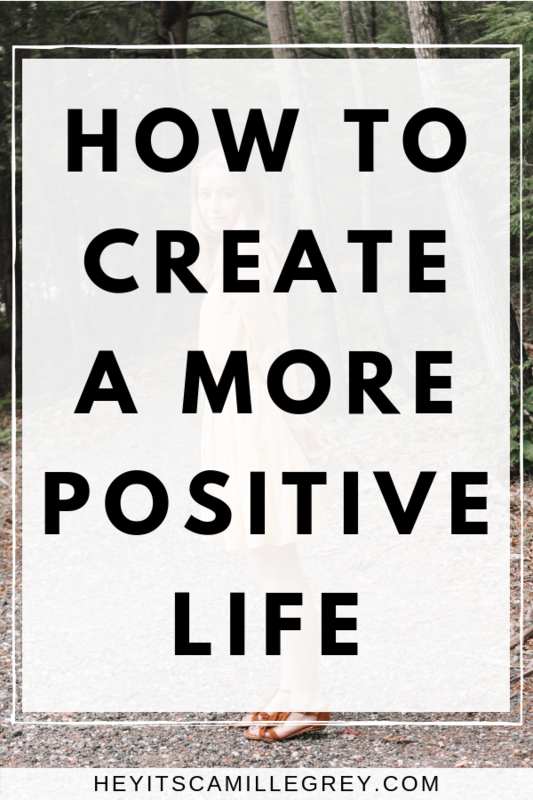 Would you try these tips on creating a more positive life? Do you already do these things? Let me know in the comments below!